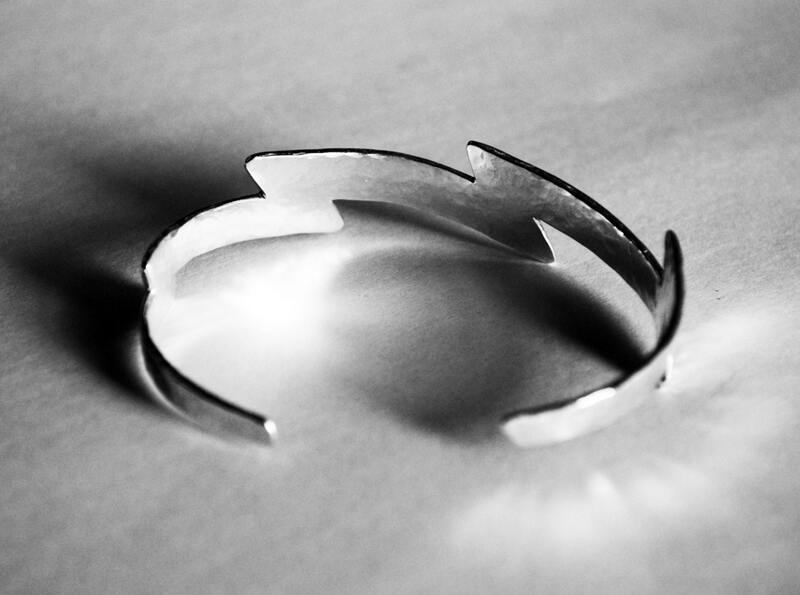 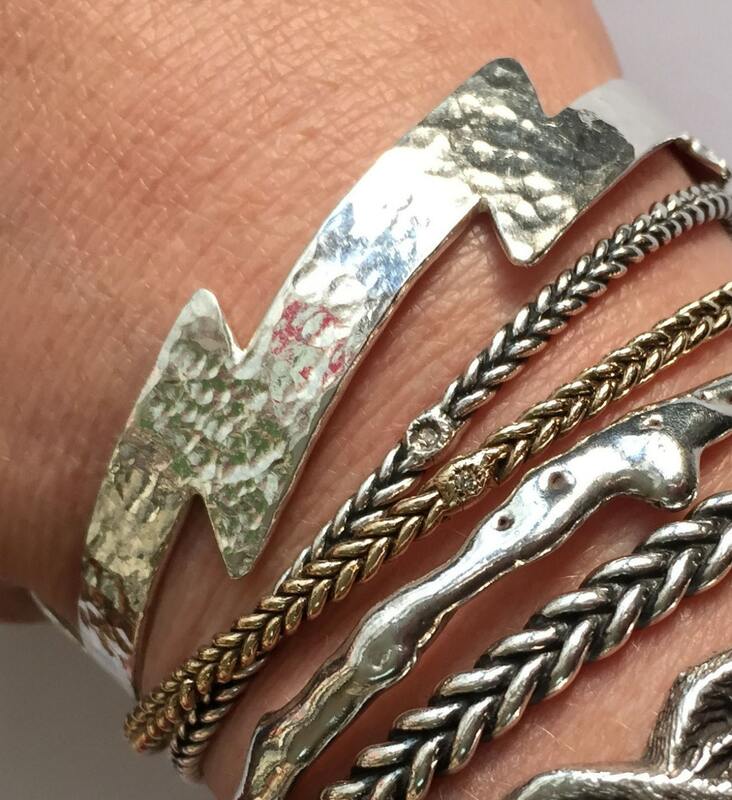 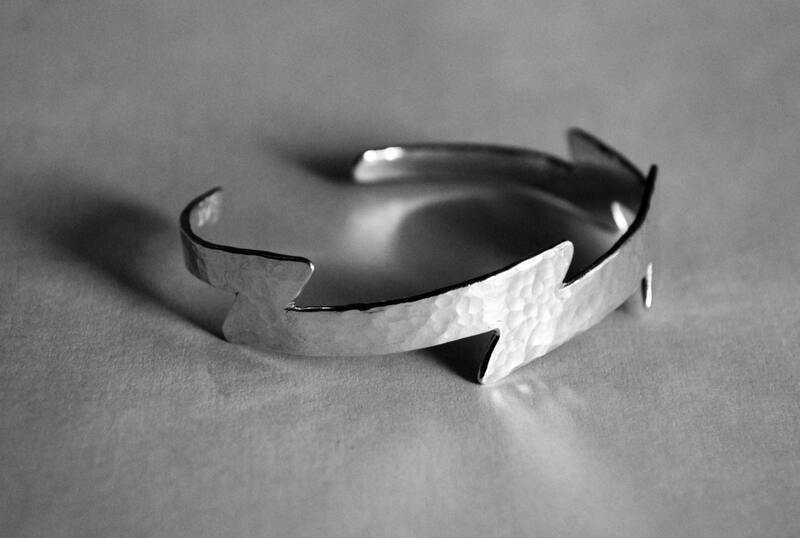 Cast in solid sterling silver with a hammered finish, these cuff bracelets fit small to medium sized wrists. 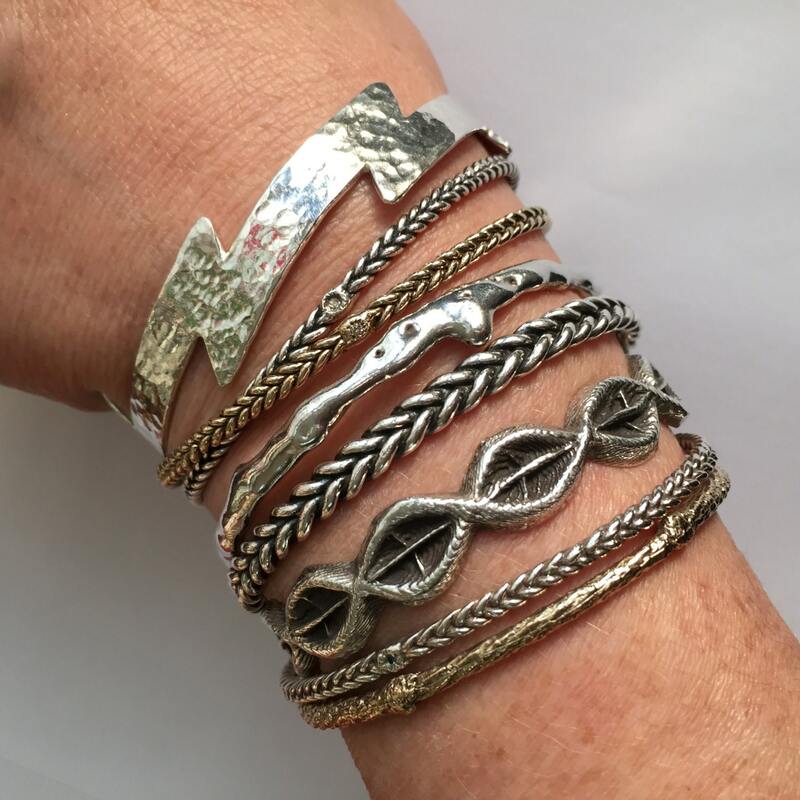 They look awesome on their own and also great in a stack. 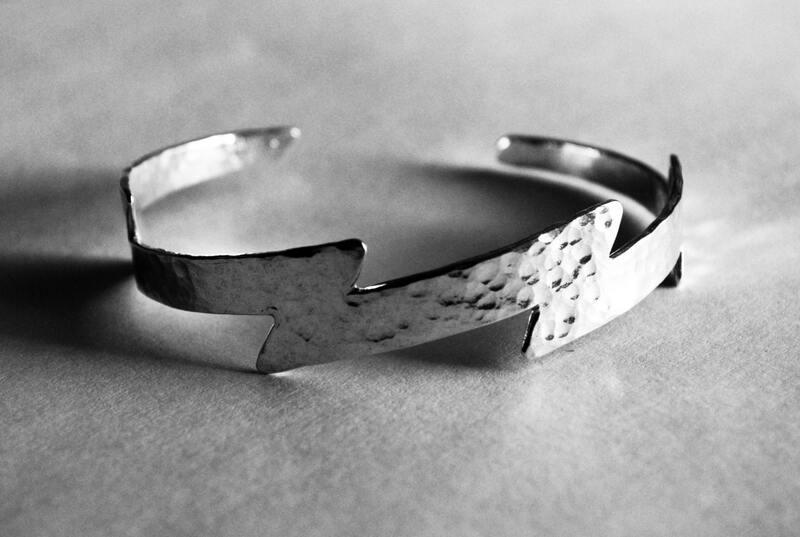 LISTING IS FOR ONE SILVER BOLT BRACELET.